Our first two terms in Year 6 have been absolutely fabulous! We have experienced countless enriching experiences including: an author visit, a trip to the pantomime, the senior citizen tea party, a visit from Ray Pearson (a Chelsea Pensioner), Maths competitions and much more besides! 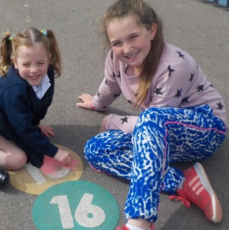 The children’s effort, determination and learning have been remarkable and this has resulted in wonderful progress and learning so far – I cannot wait to continue this journey with them. 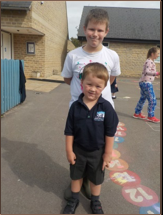 They have not only worked hard on their own learning and independence but have also supported their Class R buddies so beautifully and have enabled them to become confident, independent members of Team AK. 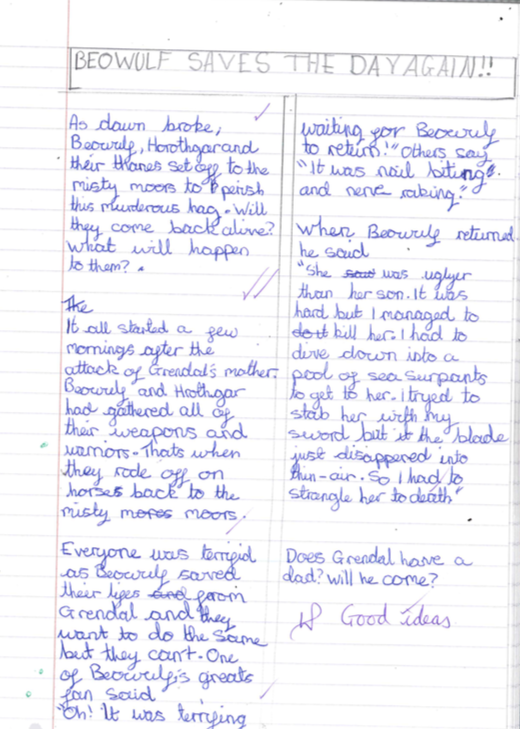 This Autumn term, we have looked at a fantastic book, ‘Journey to the River Sea’ by Eva Ibbotson.This has acted as a stimulus for some incredible, creative writing including: diary entries, letters, character descriptions, poems, non-chronological reports, biographies and a range of narratives. 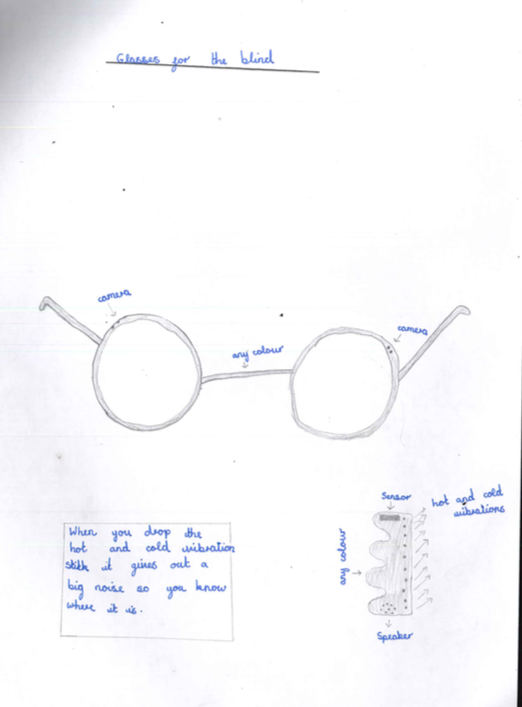 The children have also looked at and have applied a range of these skills in other subjects such as Geography, Science, DT and Art. 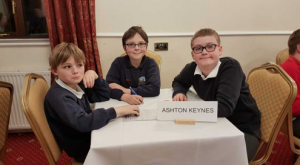 In November, the children helped to organise the AK Senior Citizen tea Party, where the children shared learning, reading, songs and of course tea and cake with the older community from the local area. I was so proud to see how they responded in a mature, welcoming and kind manner. 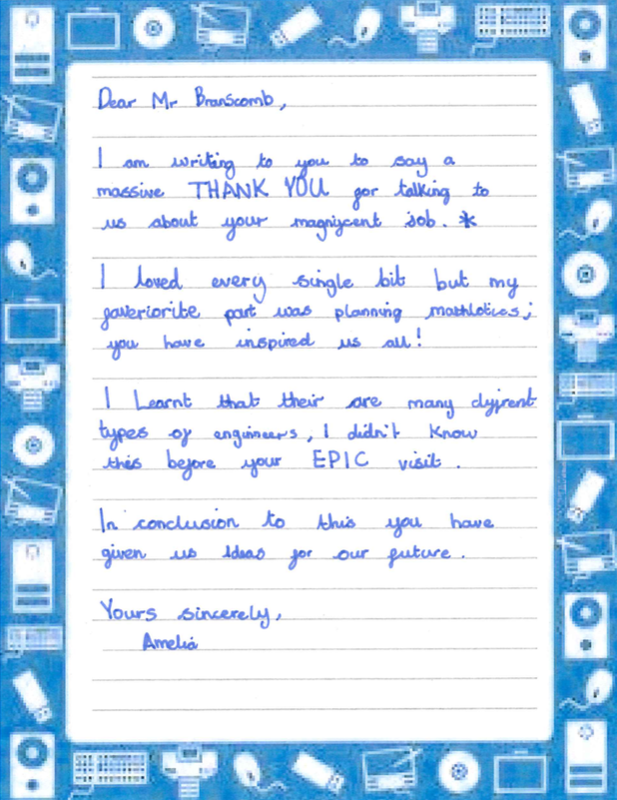 We have received countless cards and responses from the people who attended which have meant so much to the children. We also welcomed a Chelsea Pensioner, Ray Pearson, who taught us so many wonderful things. Wowsers trousers! Class 6 have started the year with a bang; I am so proud of their learning behaviours, amazing attitude and gusto! Our class have already met and spent time playing with their Class R buddies and are already proving themselves to be kind, caring and responsible. 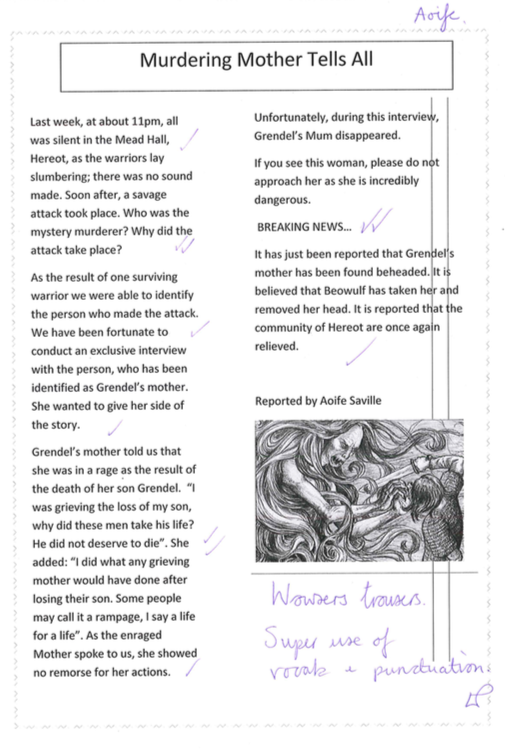 This term in Year 6, we have been studying the novel, ‘Journey to the River Sea’ by Eva Ibbotson. 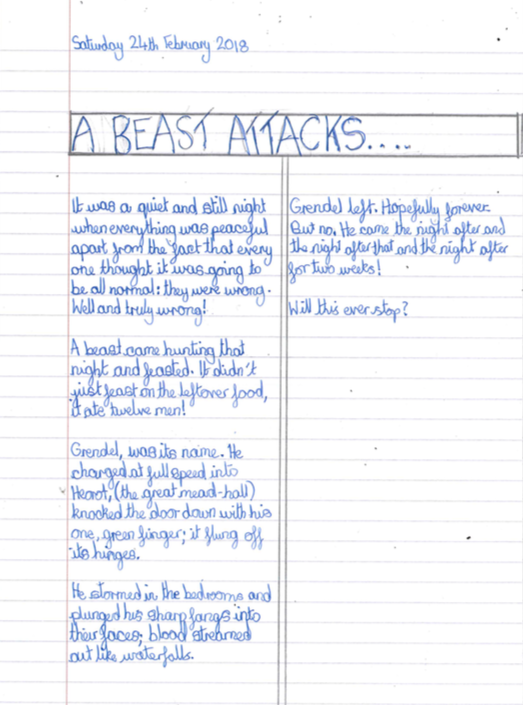 We each have a class reader and have loved exploring the text. 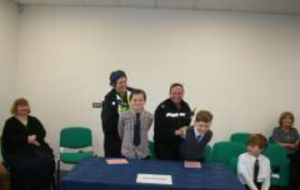 We have also had the opportunity to take part in the PQA workshops on September 25th2018. 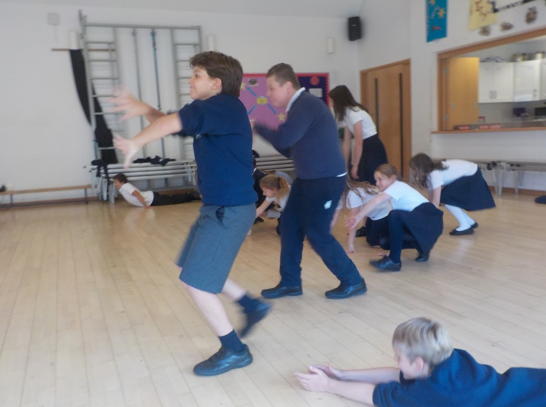 The musical in focus was the Lion King and the children loved becoming different animals and performing a choreographed routine. Thank you for everyone who helped with this. 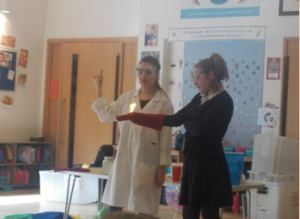 Science week was absolutely amazing. 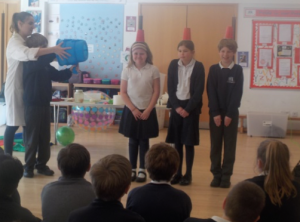 Mrs Serle, our Science Leader, and her pupil science leaders organised a fantastic week for our children. 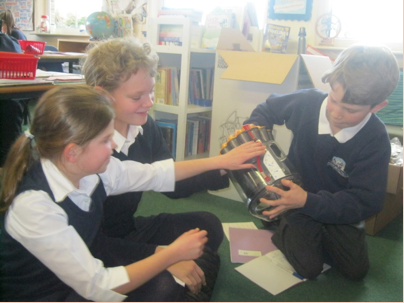 On the week commencing 12thMarch, each class has took part in some really exciting experiments, ranging from electronics to investigating liquid density Children have created their own experiments, used fair testing, made predictions and have drawn conclusions; this has yet again raised the profile and enjoyment of Science. Our week ended with a special visitor (Professor Newtron) who delivered an inspiring and fun workshop to every class. 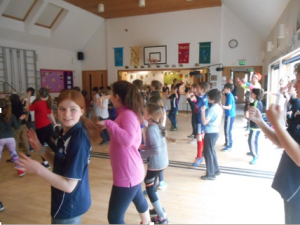 Last Friday (23rd March) our children took part in amazing dance sessions throughout the morning. The children demonstrated their funky moves in group sessions led by Mr Tanner (who sported a rather fetching dance outfit! I could not be prouder of all of Year 6 pupils. 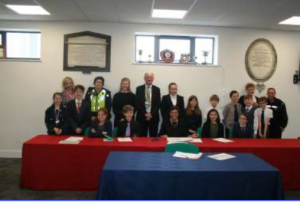 They have all been working with Cirencester Magistrates to prepare for the Mock Trial competition which took place last Thursday. The class were supportive of one another and those performing did so brilliantly, we could not ask for any more from them. Thank you to the staff and parent helpers who transported the children to the event to avoid transportation costs. We would also like to thank all the parents who came and saw their children shine! 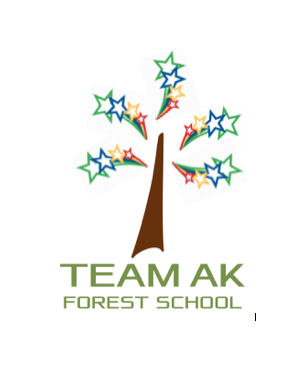 Well done to the team who represented TEAM AK beautifully. 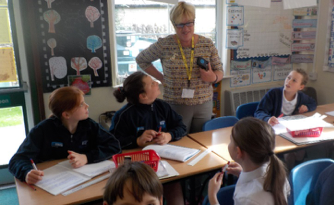 I heard from another Headteacher who was at the quiz that they were so impressed that our children were overheard saying…”Let’s do our best,that is all we need to do and be proud”. I loved hearing this Mrs Saville. 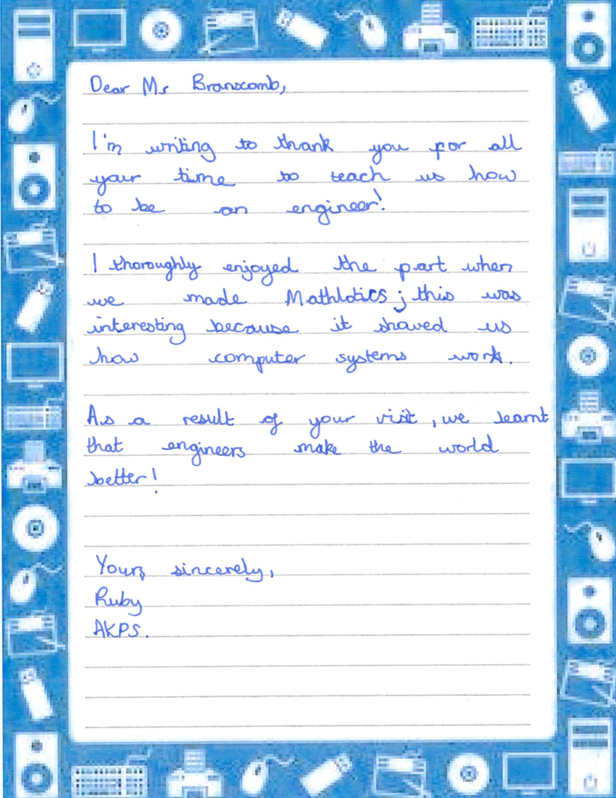 Recently Mr Branscomb visited KS2 to share more about his role as a technical architect, choosing the right computer hardware and software to make computer systems that work for people. He talked about his specialism Geographic Information Systems, which are computer systems that use geographical data. 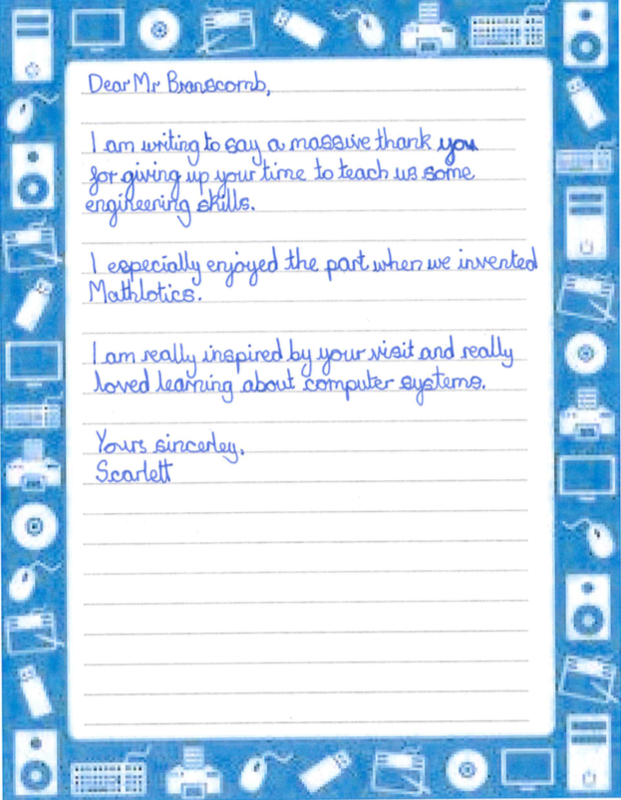 The children got to experience some of what is involved in designing a new computer program for school children called Mathlotics. 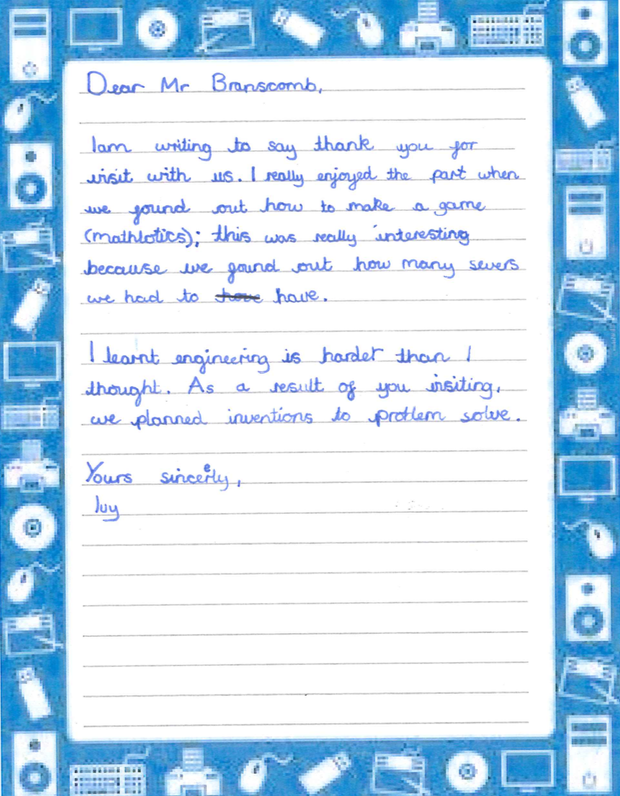 They had a number of problems to overcome with their planning which they enjoyed solving! Thank you Mr Branscomb, the children and staff really enjoyed your visit. 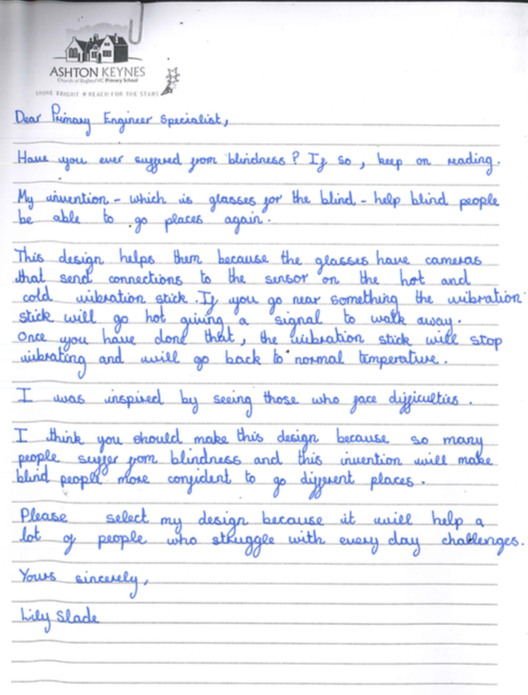 In Year 6, we have started this term thinking about engineering. 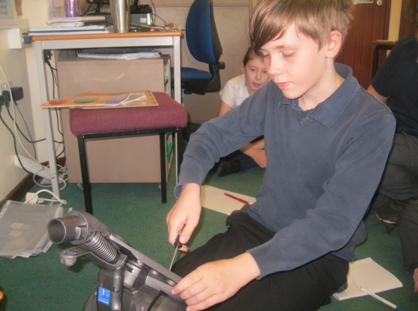 This term, we have been looking at different types of engineers and how they solve problems. 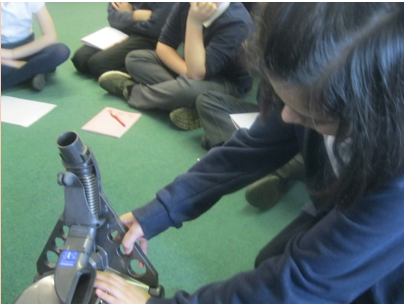 We have disassembled and reassembled Dyson products using real tools and looked at how engineers improve and maintain product design. At AKPS, we encourage children to read for pleasure as well as impressing upon them the importance of learning to read. Children are expected to be reading at least five times a week in every year group and this should be recorded in the reading diary. 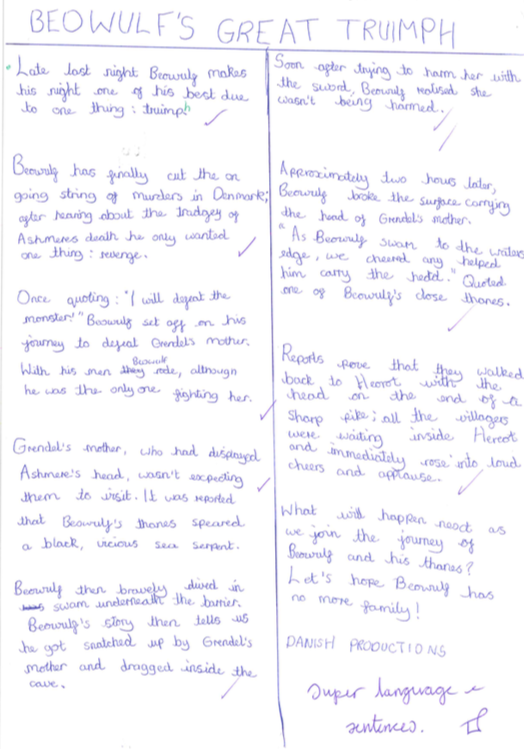 In Year 6, as the SATs test now incorporate more complex texts with higher-level vocabulary, we are supplying this list of classic fiction for children to read. This reading list will support the learning of difficult language and the structure of more classical texts. We will discuss these further during Parents’ Evening. 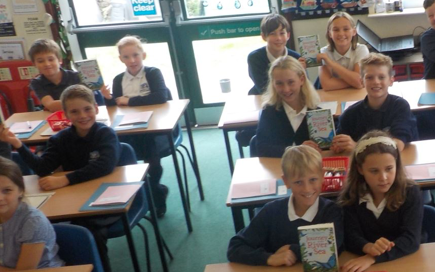 Author visit (17.10.17) – truly inspirational! 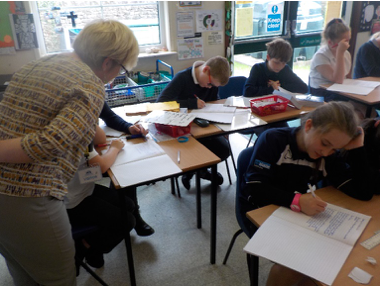 Children’s author, Debi Evans visited our school today and Class 6 were truly inspired. The children and staff were enthralled by her story telling and the impact upon the children has been instant; we are so happy! 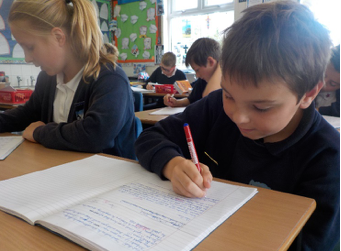 Class 6 promptly returned to class after Debi’s fantastical words to write the next chapter of Rolo’s blog! Wowsers trousers! 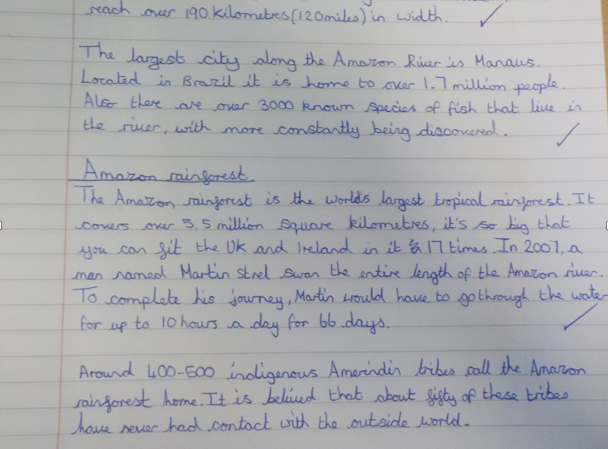 Year 6 have made a tremendous start to the year; both in terms of their learning and attitude. All of our class have already met and spent time playing with their Class R buddies and are already proving themselves to be kind, caring and responsible. 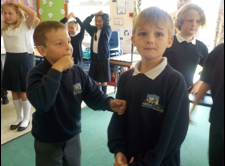 Miss Parrish from ‘Superstars’ has been working with our class every Tuesday afternoon, teaching drama skills and games. The class have fully engaged with and enjoyed the sessions immensely.